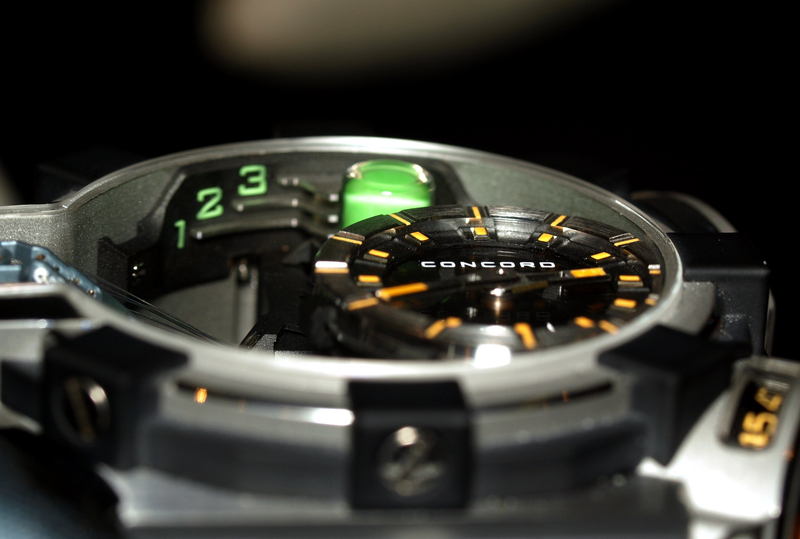 Concord has started revealing some of their Baselworld 2010 novelties. It seems a little early, considering Baselworld is not until March of next year. But then again, why not unveil some of their product line now? The new Concord C1 Chronograph All Black is 44 mm in diameter and 16.7 mm in thickness. It features a steel case and is comprised of 53 elements, a black PVD treatment, a protective ring and polished PVD self-locking screws. Black rubber paws protect the bezel, and give the C1 its unmistakable look. 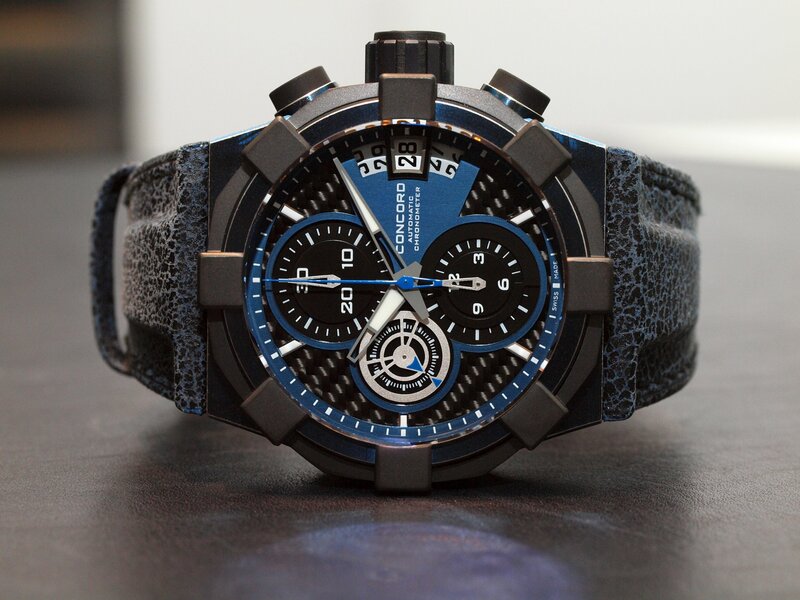 Under the massive (3.3 mm) double anti-reflective sapphire crystal, is a triple-layer carbon structure dial with a signature chronograph seconds disc. A wide date aperture sits at 3 o’clock. Chronograph hours and minutes displays sit at 12 and 6 o’clock. The hands and hour markers are made of polished rhodium, with Superluminova treatments on the hours and minutes hands. Inside, is a robust Valgranges A07.211 calibre COSC-certified chronometer running at 28,800 vph (or 4hz). The customized 25 jewel movement features a snailed bevelled rotor, Côtes de Genève decoration and a 48-hour power reserve. The strap is made of black vulcanised rubber with a folding clasp. Water-resistance is 200 meters. Retail is TBD.